Soft easy sugar cookies are where it’s at in today’s Eat Picks kitchen! These soft & chewy cookies are made with our homemade bourbon vanilla and taste absolutely delicious. When looking for a quick tasty treat, a warm, fresh baked cookie is only 9-11 minutes away! It’s no secret I love to bake; it’s my happy place. Cookies are one of those things that can instantly put a smile on someone’s face. I mean really, who doesn’t like a cookie? I often play with flavors when baking and cookies are the perfect canvas to introduce yummy twists with sugars, spices, nuts, dried fruits or candies. 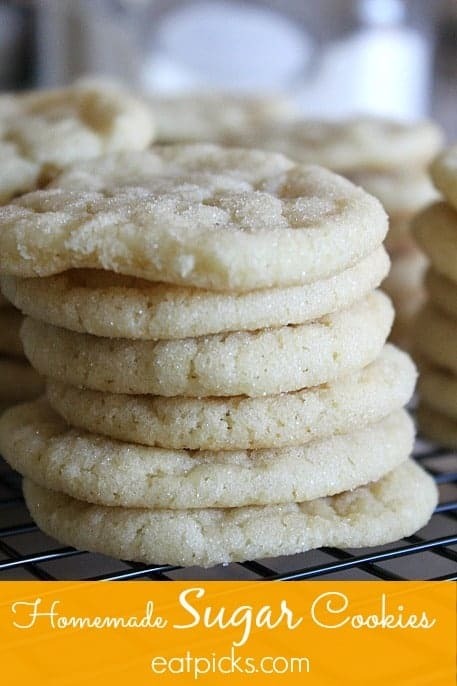 Having a good basic cookie recipe is important too and this soft easy sugar cookie recipe is perfect as a stand-alone treat or to cover with your favorite icing. If you like your cookies soft and chewy, then try this recipe and follow this baking hint: cool your cookies on a plate instead of a cooling rack to keep them soft! It works every single time no matter what type of cookie you are making. I like to play with flavors and this batch of soft easy sugar cookies includes our homemade bourbon vanilla. Homemade vanilla is super easy to make. Click here for our Homemade Vanilla in 3 Easy Steps recipe and replace your favorite bourbon for the vodka. Ready for some yummy cookies? Easy Soft Sugar Cookies are delicious with homemade bourbon vanilla! A perfect canvas for candies, nuts or fruit, or frosting. Enjoy plain too! In separate bowl, mix dry ingredients together; flour, baking soda, & cream of tartar. Add this mixture slowly into butter mixture. Combine thoroughly. Chill dough in refrigerator for about 15-20 minutes. Take chilled dough and break into tablespoon pieces. Roll in hands to make balls and roll in granulated sugar. Bake for 11 minutes or until edges start to turn golden brown. Remove and let sit on pan for 1 minute before placing cookie on a dinner plate to cool completely. These easy soft sugar cookies are just the right treat to bake and share with those you love! 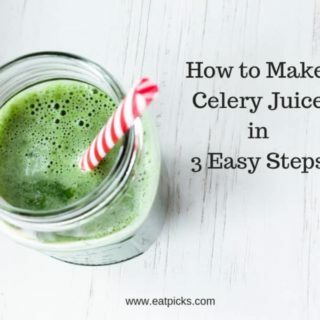 If you like this recipe, you may like these as well! I’ve included affiliate links to items I use when baking these cookies. If you choose to purchase anything through these links, a small commission is earned and goes to support this website. Thanks!